Family-owned and run Italian / pizza restaurant that's brought the taste of Southern Italy to Santa Rosa CA & Sonoma County for over 30 years! Laventina's is a Newport Beach based pizza restaurant. Laventina's serves pizza, pasta, salad, hot subs, chicken wings, and BBQ ribs. Laventina's serves both take out and delivery. 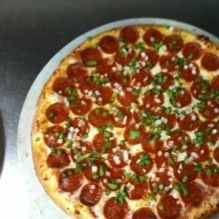 Laventina's is a Newport Beach based pizza restaurant. Laventina's serves pizza, pasta, salad, hot subs, chicken wings, and BBQ ribs.